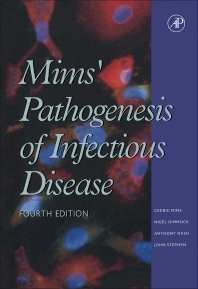 The newly revised edition of this work provides an up-to-date description of the mechanisms of infection and disease production in a clear and logical manner. Dealing in an integrated manner with all microorganisms, the factors common to all infectious diseases are set out. Molecular biology, pathology, and immunology are brought together to explain how an infectious agent causes disease, and how the body reacts to it. Preface to Fourth Edition. Preface to the Third Edition. Preface to the Second Edition. Preface to the First Edition. General Principles. Attachment to and Entry of Microorganisms into the Body. Events Occurring Immediately After the Entry of the Microorganism. The Encounter of the Microbe with the Phagocytic Cell. The Spread of Microbes through the Body. The Immune Response to Infection. Microbial Strategies in Relation to the Immune Response. Mechanisms of Cell and Tissue Damage. Recovery from Infection. Failure to Eliminate Microbe. Host and Microbial Factors Influencing Susceptibility. Vaccines. Appendices. Conclusions. Glossary. Subject Index. Tony Nash is Emeritus Professor of Infectious Diseases at the University of Edinburgh. He has had a distinguished career i the field of viral pathogenesis in which he has over a 150 publications. He is a Fellow of the Royal Society of Edinburgh and of the Academy of medical sciences of the UK. Cedric Mims began as a zoologist, studying under GP Wells and JBS Haldane at University College, London. He then went to the Middlesex Hospital Medical School, London, graduating in 1952. After hospital appointments he spent three years in Uganda studying tropical fevers, and then 16 years in Canberra, Australia, interspersed with two years in the USA. This was followed by a 20-year period in London as Professor of Microbiology at Guy's Hospital Medical School, where his enthusiasm for teaching found its outlet. His entire career has focused on infectious diseases and immunology, and he has produced five books and more than a hundred scientific papers on these subjects. He has four children and nine grandchildren and lives in the Sussex countryside. Guy's Hospital Medical School, UMDS, London, U.K.
University of Warwick, Coventry, U.K.
University of Birmingham, Edgbaston, U.K.